"Joker" then Google would search for information related to "Joker" in their database along with your gmail and google drive account. The normal search result presentation would remain the same. 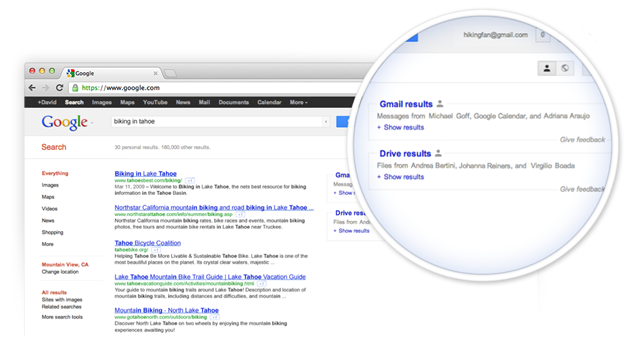 Two new elements i.e search results from gmail and search results from google drive would be added on the right hand side. These two separate columns would be seen only if you are logged into your gmail account and your account is having information related to your search query. 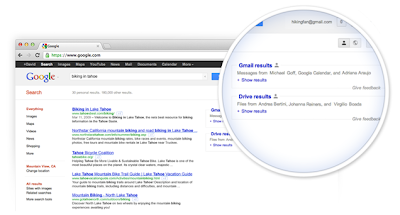 These are the search results that would be seen when searching in your gmail. These are the search results that would be seen when searching in the Google query box. Note the two elements seen on the right hand side of the search results. Interested in being a part of this experiment?